The purpose of the practicum is to pursue an extended, focused endeavor that is tailored to meet an Environmental Fellow's individual goals and needs. The practicum enhances a Fellow's education by improving their environmental knowledge and skills in a practical or applied manner. The practicum may take the form of an internship, an off-campus study program, supervised research, a civic project, or a creative endeavor. Or it may be something that we have not yet envisioned! Fellows work closely with their advisor, the Environmental Fellows Program Office, and the Hubbard Center to find an opportunity that fits their personal, academic, and professional goals. 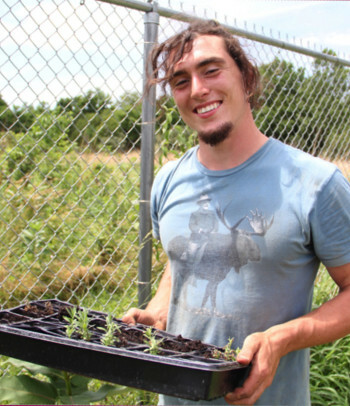 Connor is an Urban Studies major and member of the Sustainability Leadership Program. Connor worked with EcoCity Builders on a UN-sponsored project to propose a plan to increase the sustainability and livability of Moravia, a neighborhood in Medellin, Colombia. The goal was to find replicable ways to green and improve the neighborhood so that other neighborhoods could follow Moravia's lead. During his practicum, Connor gained valuable experience working in a community based organization and with the government planning department to effect changes in the city. Regan is a Computer Science major with a minor in Biology. 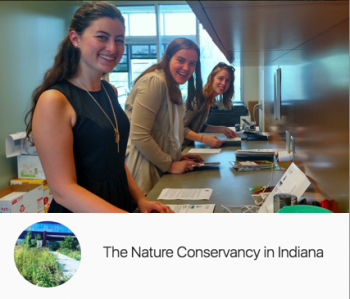 Her practicum experience was comprised of two internships, the first being a Digital Assets Intern at the Indiana Chapter of the Nature Conservancy in Indianapolis during the summer of 2016. Putting her technical skills to work, Regan compiled a database of photographs for the Conservancy's various social media platforms. 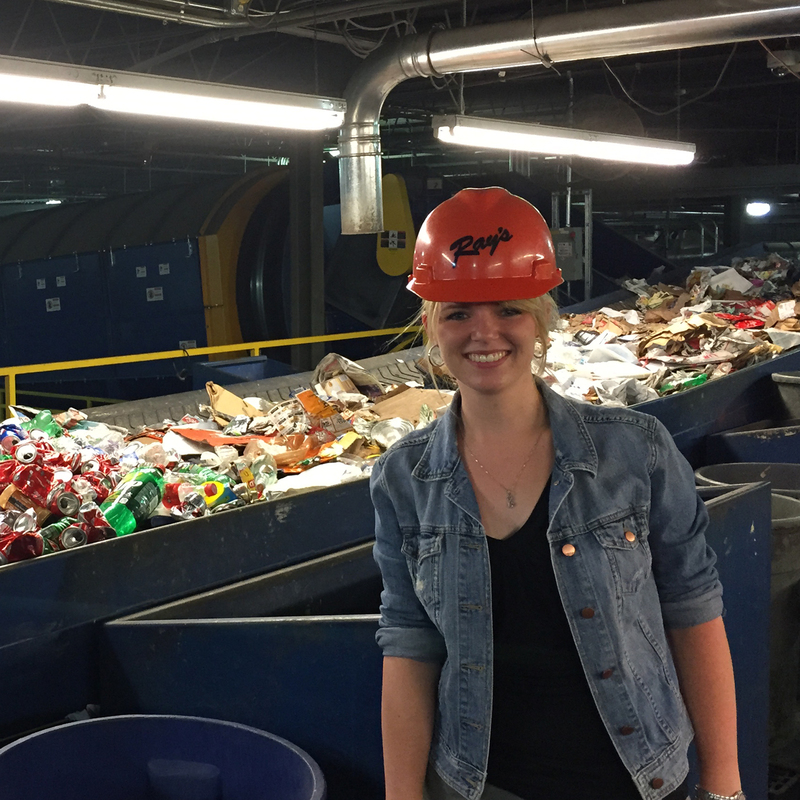 The second internship was with the Sustainability Leadership Program at DePauw. From 2016-18, she ran the thrift store on campus, The Thrifty Tiger. During that time, Regan increased sales and visibility for the thrift store through an advertising campaign and marketing events, which included a community wide garage sale and "pop-up" shops. 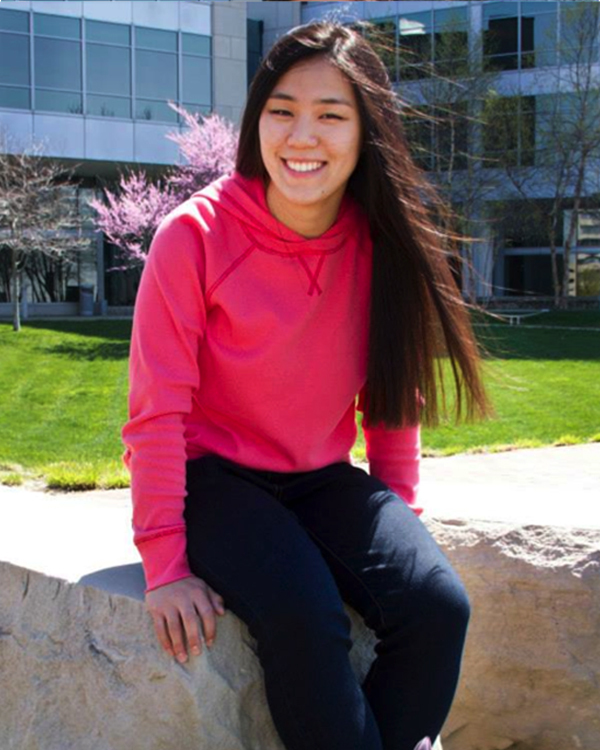 Vy Le is an Environmental Geoscience major with a minor in Chemistry. She is a member of the Sustainability Leadership Program. During the summer of 2017, Vy interned at Buzzi Unicem-Alternate Fuels, where she helped conduct chemical tests on hazardous waste materials that are used as supplemental fuels to coal in the cement manufacturing process. 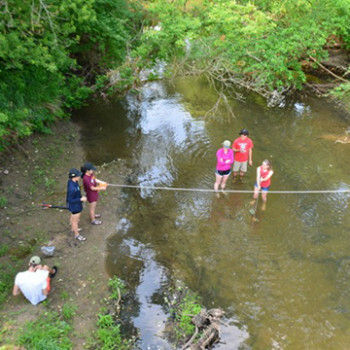 During the summer of 2018, Vy completed a second practicum experience conducting research at Depauw with Prof. Fred Soster on suspended sediment transport and sources in the Big Walnut Creek Watershed in Indiana. The research will have implications for sediment control strategies that could help alleviate environmental problems related to runoff in the Gulf of Mexico. 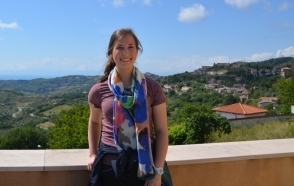 Nicole Pasho is a History major with a minor in Environmental Geoscience. 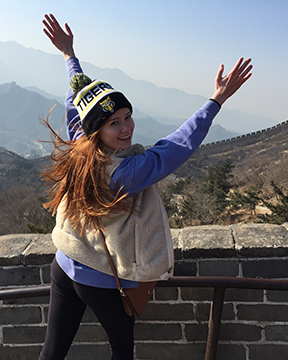 She is active on campus as a member of the Sustainability Leadership Program, where she led the DePauw Environmental Policy Project for two semesters. During that time Nicole coordinated an event titled "What Are We Thinking? 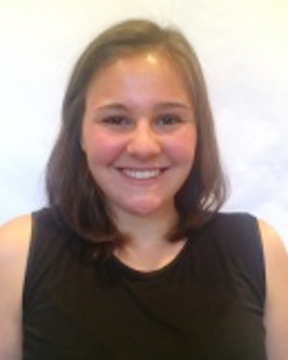 The 2016 Election and Environmental Policy" and organized a student group to attend the April 2017 People's Climate March in Washington D.C. During the summer of 2017, she was introduced to the field of peace building and bridging communities through a May Term with PeacePlayers International in Belfast, Northern Ireland. In the summer of 2018, Nicole completed her practicum experience with EcoPeace Middle East as an intern on the "Good Water Neighbors" project in Amman, Jordan. Cecilia is a History major and Honor Scholar. 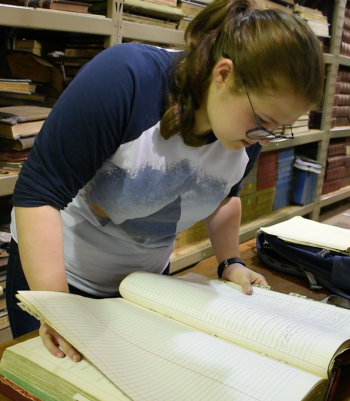 During the summer of 2018, she completed her practicum by researching the local and environmental history of the DePauw Campus Farm House and assisting with its deconstruction alongside Professors Jennifer Everett (Philosophy) and Jim Mills (Geosciences). Her research continued in the fall of 2018 as an independent study project. Cecilia is also a member of the Sustainability Leadership Program and served as the Sustainable Energy project manager for two semesters. 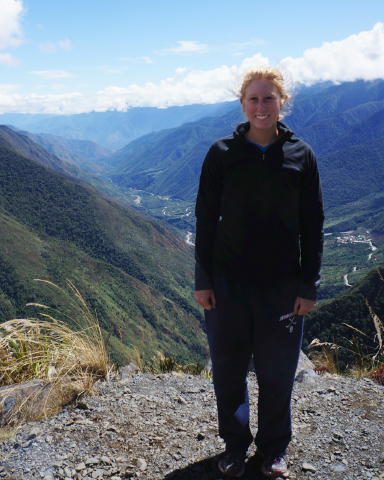 Coco Bernard is a Global Health major with an Environmental and Human Health focus. 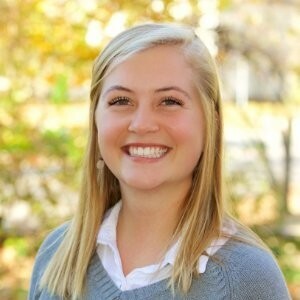 She is also a Community Outreach intern for the Sustainability Leadership Program (SLP). 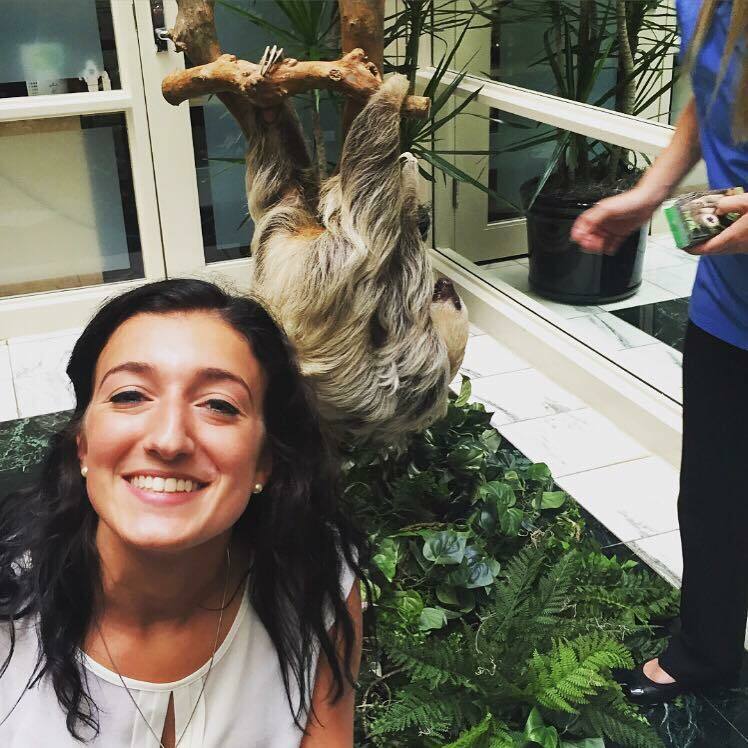 Coco completed her practicum through two internship experiences. Her first practicum experience was with SLP as a Co-Project Manager for the Community Outreach group during the spring of 2017. As a Project Manager for SLP, she co-led a small group working to bridge the gap between the DePauw and Greencastle communities. Her second practicum experience was completed in the summer of 2017 as an intern for The Foundation for Sustainable Development (FSD). FSD is a non-profit organization that pairs with non-profits in six other countries in efforts to enhance the capacity of local communities and address environmental conservation, healthcare, social and economic issues, and a variety of other issues. Rafael is an Environmental Geoscience and Spanish double major. 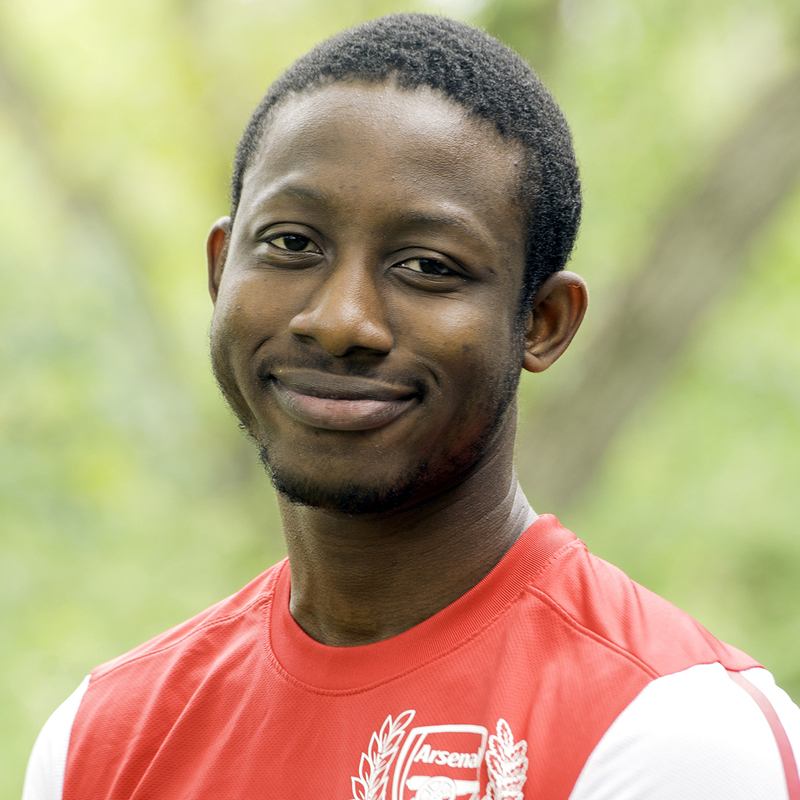 As a student director for the Sustainability Leadership Program, he helps lead and organize sustainability projects on campus. Rafael completed his practicum at DePauw's Campus Farm during the summer of 2017, where he served as an apprentice to the farm manager, assisting in day-to-day tasks as well as decision making to improve efficiency of the Campus Farm's organic growing practices. 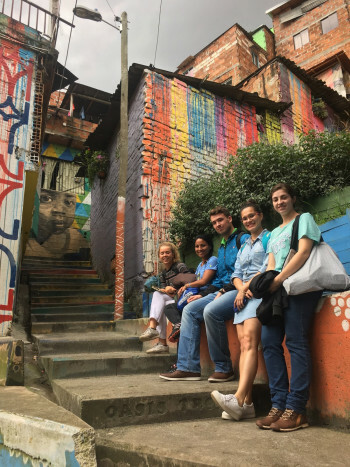 Rafael also studied abroad during the Spring of 2018 with the School for International Training's Comparative Ecology and Conservation program in Quito, Ecuador. Kelsie is an Environmental Studies major with a minor in Political Science. She interned during the summer of 2016 with the Center of Sustainable Development in Bangalore, India as a research analyst studying organic farming in the state of Karnataka. During the spring of 2017, she studied abroad in Australia for a semester as a student in the School of International Training (SIT): Sustainability and Environmental Action. 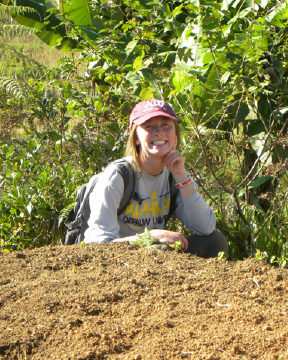 During her time abroad with SIT she also interned at a sustainable food company in Melbourne, Australia. Kelsie interacted and educated the public about sustainable food options and contributed to future product innovation. At DePauw, Kelsie has been a part of the Sustainability Leadership Program and held two leadership positions as a Community Outreach Student Project Manager and a Campus Farm Student Project Manager. She led farm tours to provide education about alternative farming techniques and managed workshops about sustainable farming at Greencastle community schools. Haley is an Environmental Geoscience major. In the winter of 2016 Haley participated in an independent study project where she researched the impact of climate change on trees in DePauw’s Nature Park and helped create DePauw’s first dendrochronology laboratory. Haley had a second practicum experience conducting research surveying the surface of Mars which was funded through the National Science Foundation. She was able to present her research at the American Geophysical Union in New Orleans. Lucas is a History and Political Science double major. He completed his practicum in the summer of 2017 by engaging in research on campus with Prof. Benegal, a faculty member of DePauw's Political Science Department. 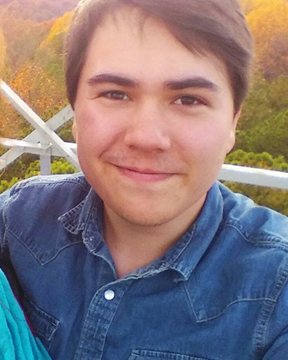 With an interest in researching public opinion and an eye toward pursuing future research opportunities, Lucas decided to investigate how the American public evaluates renewable energy. In collaboration with Prof. Benegal, Lucas created an original survey experiment and presented his unique data to faculty and students at the end of his summer research experience. 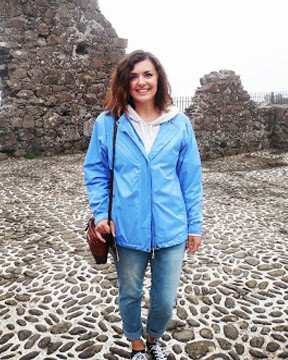 Mary Satterthwaite is a Spanish major with a minor in Philosophy. She interned during the summer of 2017 in Glacier National Park and the Flathead National Forest as a Teacher/Naturalist at Big Creek Outdoor Education Center, a branch of Glacier Institute. She spent two summers working as an outdoor educator, building lesson plans and teaching at Briar Bush Nature Center. Mary also has three years of experience as a student manager working on the DePauw Campus Farm. 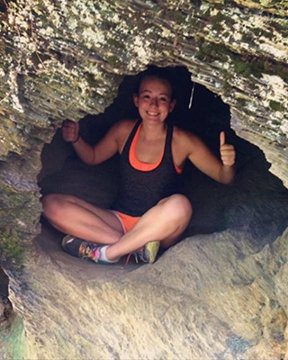 S arah Farmer is a Geology and Studio Art double major interested in urban sustainability. She completed her practicum experience the summer of 2017 as an Environmental Education Intern teaching 1st-4th grade Baltimore City students an appreciation for the natural world through the Project Learning Tree Curriculum. This opportunity was made possible by The Parks and People Foundation, a nonprofit working to green the city of Baltimore through community outreach and empowerment. Annie is a Political Science major with a minor in Economics. During the Spring of 2016 she studied abroad in Durban, South Africa for a semester as a student in the School for International Training (SIT): Social and Political Transformation program. 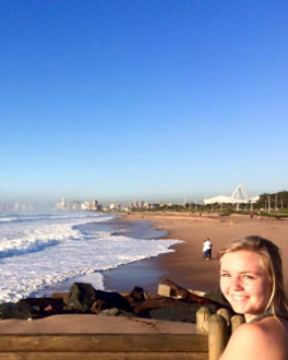 Annie completed her practicum while studying abroad, researching the Durban beachfront and how infrastructure improvements in 2010 have led to social and racial cohesion since the end of apartheid and the role of this topic in the environmental justice movement. 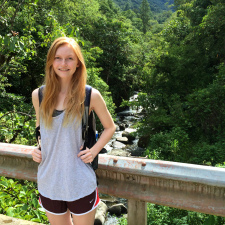 Molly is a Philosophy and Environmental Biology double major. She completed her practicum in the summer of 2016 with a non-profit organization in Ranomafana, Madagascar. She interned at Centre Valbio on their Reforestation, Education, and Community Development project under Dr. Patricia Chapple Wright. Molly helped establish and manage tree nurseries in several remote villages in order to restore fragmented forests around the Kelilalina commune. She also assisted in planning research on local cash crops. You can read more about Molly’s experience in Madagascar on her blog. Gabby is an Environmental Geoscience major. In the Fall of 2016 she undertook a pilot research project at the DePauw University Campus Farm to comprehend the complexity and diversity of the soil, as well as the land use history. Her research aimed to answer the following questions: What soil types are present at the farm and areas of possible expansion surrounding the farm, in what ways was this land being used in the past, and how will that usage affect current and future agricultural activity? 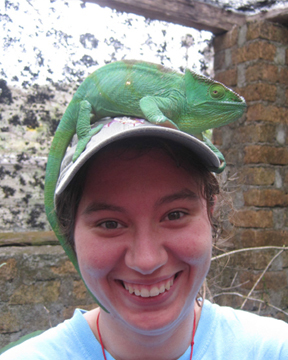 Megan is an Environmental Biology major that completed her practicum studying abroad during a semester in Madagascar. She conducted research on lemur calls with Dr. Patricia Chapple Wright, world renown lemur researcher and winner of the 2014 Indianapolis Prize, the World's Leading Award for Animal Conservation. Megan connected with Dr. Wright when she visited the DePauw campus to present on her work. Click here and here to listen to golden bamboo lemur territory calls that Megan recorded. The golden bamboo lemur was discovered in 1986 by Dr. Wright. Ashley is a Biology and English Literature double major. She completed her practicum during the summer of 2014 with a non-profit organization. Ashley interned as the organization's chief science officer, helping small communities in Panama develop access to safe drinking water. Click here to read her blog about her experience in Panama. This summer, she conducted research in a Costa Rican cloud forest studying the effect of deforestation on local butterflies. Ashley was selected for a paid internship during DePauw's January of 2016 Winter Term at Woods Hole Oceanographic Institute in Massachusetts. There, she conducted research on the intersection of climate, oceans, and human activity. 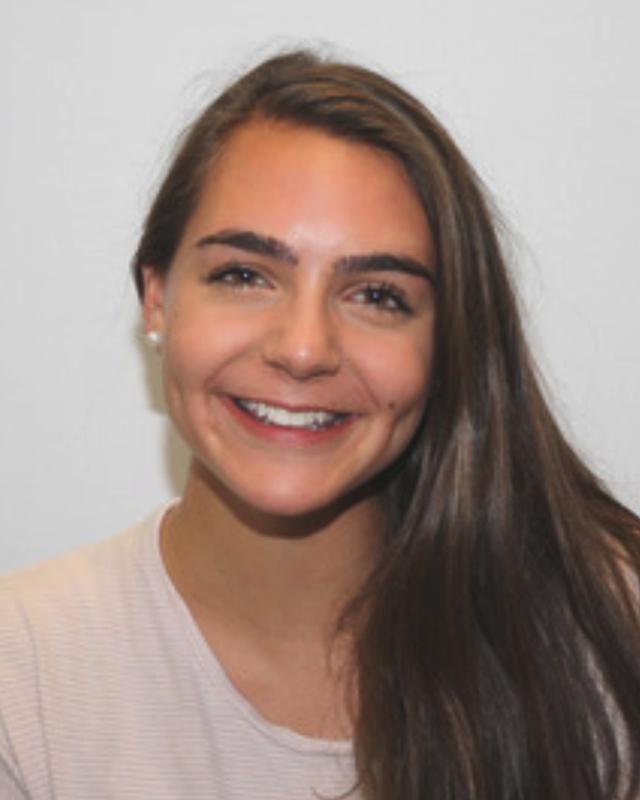 Click here to read an article that Ashley wrote for Oceanus Magazine during her internship at Woods Hole.